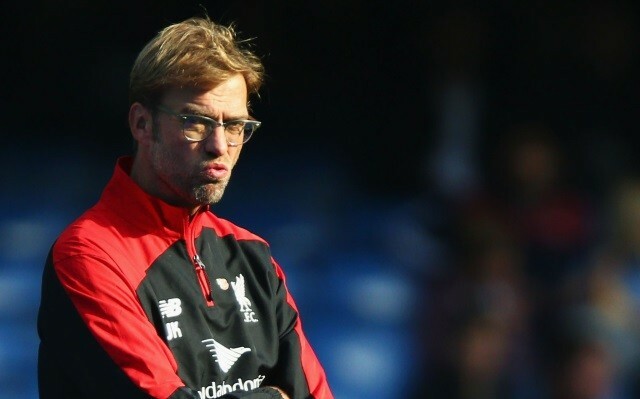 Jurgen Klopp has appeared to confirm that Liverpool will be in the market for a centre-back in the January transfer window after his side’s bruising victory at Stoke City. The Reds defeated the Potters 1-0 in the first leg of their Capital One Cup semi-final on Tuesday evening, but the result came at a major cost as Kolo Toure and Dejan Lovren suffered injuries to add to already-sidelined Mamadou Sakho, Joe Gomez and Martin Skrtel. Speaking after the match, the German coach admitted that delving into the transfer market could be the only option left for him considering his injury-ravaged squad. “In this moment with no centre back fit, I would say it is a situation where we have to think about going into the transfer market, eh?” Klopp began, as per the Mirror. “Two weeks ago we had three centre backs, that’s a good situation, at the start of the season we had five, now we have none. I don’t know if any have a chance of being fit. Sakho, I don’t think so. Kolo said it’s only a cramp. But I don’t know for him either. As well as seeing Lovren replaced during the match, and watching Toure—who delivered a fine performance in the heart of the defence—in pain during the latter stages of the contest, Klopp also saw playmaker Philippe Coutinho pick up an injury. According to the Mirror, the Reds now have six players simultaneously suffering hamstring problems. One option for Klopp could come in the form of Anglo-Nigerian defender Tiago Ilori. The centre-back, who spent last season on loan at Girondins de Bordeaux, spent the first half of this campaign on loan at Aston Villa, but the Liverpool Echo reported on New Year’s Day that a lack of game time for the stopper at Villa Park could see him return to Anfield prematurely. Perhaps the 22-year-old could emerge as an unlikely hero for Klopp in the German coach’s hour of need; Liverpool face Exeter City in the FA Cup on Friday evening.